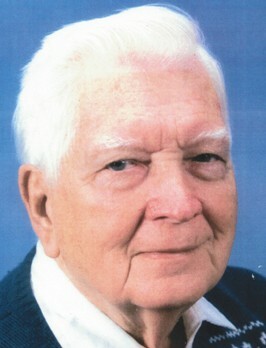 Mr. Walter C. Oyer, age 91, of Rochester, New York, formerly of Killbuck, New York, died Friday, August 5, 2011 at Rochester General Hospital, Rochester, New York. Born on June 1, 1920, in Salamanca, New York he was the son of the late Wallace & Rose Duhan Oyer. He was married on June 15, 1937 to the former Phyllis Smith who predeceased him on August 14, 2001. Mr. Oyer was a veteran of the U.S Army Air Corps, serving during WWII. After a 12-year career with F.W. Woolworth, Walt and Phyllis owned and operated Oyer's Appliance Service in Rochester for over 20 years. The Whirlpool Corporation named his business â€œBest in the Countryâ€ for 17 consecutive years. A devoted family man, Waltâ€™s greatest pleasures included spending time with his family and friends, fishing and the outdoors. Mr. Oyer was a member of St. Charles Borromeo Roman Catholic Church in Rochester, New York. Surviving are: one daughter, Diane Quagliana, Naperville, IL; three sons, Dr. David (Marcella) Oyer, Northbrook, IL, W. Brian (Marjorie) Oyer, Rochester, NY, Ronald (Julie) Oyer, Hilton, NY; 13 grandchildren; 10 great-grandchildren; one sister, Beatrice (David) Bishop, Little Valley, NY; several nieces and nephews. Two brothers, Paul Oyer, and Russell Oyer, and one sister, Marie Learn, predeceased him. A memorial mass will be held at St. Charles Borromeo Church, Rochester, New York on Saturday, October 15, 2011, at 10:00 a.m.
Burial will be in Wildwood Cemetery, Salamanca, NY, on October 16. Members of the American Legion Hughes-Skiba Post #535 will conduct full military honors.